Saga’s historical singer Michael Sadler surprised everybody rejoining the band just a few days before the recording of their recent studio album “20/20” took place. All of a sudden the magic was back. With this album, Saga charted in the German top 10, sold out nearly 20 concerts in Germany and brought its music into cities and countries where they had never been before. 2012 and 2013 have been very intense years for Saga. 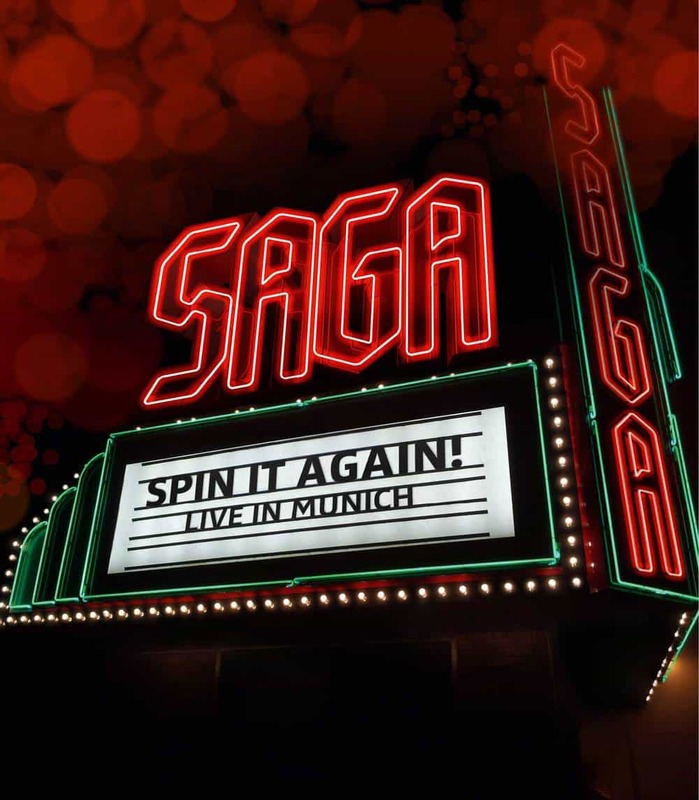 "Spin it Again", recorded and filmed in Munich, historically a second home for the Canadian prog rockers, features recent songs as well as all the Saga classics. Two hours of prog and melodic hard rock at its best. Michael Sadler declares: "After nearly 5 years apart, this show celebrates SAGA as we are, together again. Filmed at the end of our European 20/20 tour, it captures a truly special night among friends. This film not only serves as a reminder to those of us that were there, it also allows others a glimpse of what we do, LIVE." Ian Crichton adds: “We've played Munich for many years, it keeps getting better… Munich, ich liebe dich! !